Turkey has rigid and strict laws when it comes to online gambling. For Turkish residents who want to play at online casino websites for real money, read our guide before playing to be informed of current legislation and regulation. Turkey is a country with laws influenced by Islam and naturally, any gambling-related activities are governed by said influences. Islamic religion frowns upon all forms of gambling and it is viewed as an immoral activity and explicitly forbidden, so it is no surprise land-based casinos within Turkey are non-existent (post-1998). It is a surprise certain exceptions exist, such as the state-run lottery, and racing and sports wagering through the state-backed IDDAA betting company. If you are participating in gambling activities outside of these sectors, the laws are clear: the Turkish government considers it 100% illegal and you, as the player, are liable to fines and penalties should you be caught. It is clear a certain portion of Turkey’s population are still heavily interested in online betting and casino gambling, however – especially considering many of the world’s best offshore online casino websites openly accept Turkish players to sign up and play. However, some very strict legislation enacted in 2006 which banned non-state online gambling without question, along with the Turkish Banking Regulation and Supervision Agency banning credit and debit cards related to online casino transactions has made it very hard to recommend Turkish residents gamble at online casinos at this time. There is currently a hefty 100k-500k (Turkish lira) penalty for anyone in Turkey caught playing at offshore Internet gambling venues, even if these venues are regulated and verified by the world’s leading gambling jurisdictions and licensees. 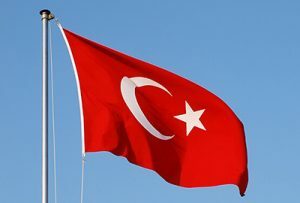 While a few high-profile cases have seen individuals penalised in the past, it is actually very rare for Turkish real money players to have been fined or punished for online casino gambling. This is because there are several options, such as Virtual Private Network services and e-Wallets, which have allowed players in Turkey to make their online gambling more private and their cash deposits transferred via Internet payment services rather than credit or debit cards, which are policed by the Turkish Banking Regulation and Supervision Agency. So, all in all, it is currently illegal to gamble at online casinos from Turkey. While Internet gambling venues based offshore do accept Turkish players and some residents have played before without consequence, all readers of this guide must be aware there are heavy fines and risks associated with participating in real money betting online. Our only advice is for the use of VPNs and Internet payment services should you still decide you wish to gamble at offshore online casino websites. Which offshore online casinos accept Turkish players? As already pointed out above, many of the world’s leading real money online casino websites accept sign-ups from Turkey despite the country’s very strict gambling laws. All of the casinos listed in the geo-targeted table at the top of this page are sites which accept Turkish players for bets on online slots and table games for free or real money mode, and are licensed and regulated by trusted gambling jurisdictions and organisations such as the eCommerce Online Gaming Regulation and Assurance, the Malta Gaming Authority, and the United Kingdom Gambling Commission. Geo-targeted means it is a table which automatically registers the source of your IP address and filters through our recommended casino sites to only display those which accept your home country or region. However, remember – while these sites do accept registrations from Turkey-based IPs, if you play at any of them without precaution you are liable to punishment by present-day Turkish gambling laws. It is illegal to gamble at online casinos from Turkey. We do not recommend residents play at offshore online casinos while within the country at this present time, but we do stress the importance of using a VPN or Internet payment services such as Neteller and Skrill should you decide you still wish to play in the face of potential fines and penalties.